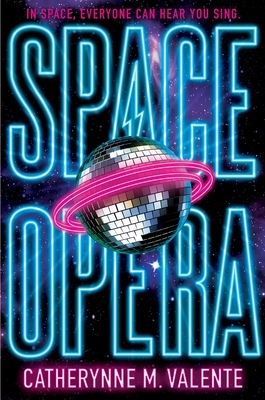 Space Opera! Exactly what Catherynne Valente’s new brilliant hoot of a novel is about! Aliens arrive (weird and nutty ones), and they have serious doubts if humans are really civilized. Their test: a human band has to compete in the galactic version of Eurovision and not finish dead last. Our champion: Decibel Jones, a washed out glam-rock David Bowie has-been. The result: great lunacy and fun! And, along the way, an unending stream of the best bon-mots since Christopher Moore! Space Opera has the funniest opening line of any novel I know of. And that’s just the beginning. Enthusiastically recommended!